Woot Woot! 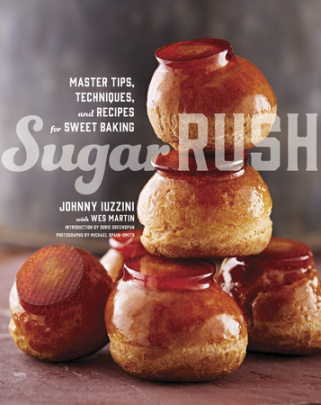 I love cookbooks about desserts, so I was pretty excited to get my flour-covered mitts on a copy of Sugar Rush by Johnny Iuzzini. If the name sounds familiar, it might be because he was the head judge for Top Chef: Just Desserts. Or you might know him from somewhere else. Anyway, the book is mostly sweets, but a few savory recipes snuck in, like zucchini and roasted corn muffins. And focaccia. And crepes and brioche..But it's definitely not all baking. Nope, there are flans and pastry creams, and ... caramel pudding. I love pudding. It's such a comfort food. I usually make chocolate, but when I saw the recipe for caramel pudding, I had to give it a try. Caramel is sort of magical - it starts off as just white sugar that's nothing but sweet, but then it becomes something else that has a heck of a lot more flavor. This recipe is actually pretty simple ... but I had a slight problem. After it was cool, the pudding was way too thick. Like, ridiculously thick. To be honest, I'm not sure if there was a problem with the recipe, or if it was yet another high-altitude bizarreness. You see, liquids evaporate much faster here, so I'm betting that the mixture reduced too much. But it wasn't a big deal. I reheated the pudding and added more half-and-half to thin it out, and it was just fine. I'd love for someone else to make this recipe and let me know if it comes out right at sea level. Let me know! Have an ice bath standing by that is large enough to hold the bowl where you'll store the finished pudding. Put all of the caramel ingredients into a medium saucepan and stir with your finger until the sugar is all wet. I suppose you could stir with a spoon, too. Put the pan on medium heat and cook without stirring until the sugar is melted. Meanwhile, get started on the pudding: Put the half-and-half, sugar, and cornstarch in another medium saucepan and whisk to combine. Heat on low until warmed. Brush the sides of the pan with a pastry brush dipped in water to get rid of any sugar crystals clinging to the sides of the pan. Continue cooking, swirling the pan for even heating, until the mixture is a dark mahogany brown and it gives off white smoke. Reduce the heat to medium low and slowly add the milk mixture - it will bubble a lot, so be careful. Whisk until the mixture is smooth. Let it come to a boil, and cook for 2 minutes at a slow boil. Remove from the heat and whisk in the butter. Pour the mixture through a fine-mesh sieve to remove and lumps. Discard the vanilla bean or rinse and dry it for another use (you can store it in sugar to make vanilla sugar). Lay a sheet of plastic wrap directly on top of the warm pudding to keep it from forming a skin. Put the bowl in the ice bath, making sure it's not so deep that water gets into the pudding bowl. When the pudding is cool, refrigerate at least 2 hours, until thoroughly chilled, before serving.